I have just been a fan of eyeliners lately like 2-3 months ago. 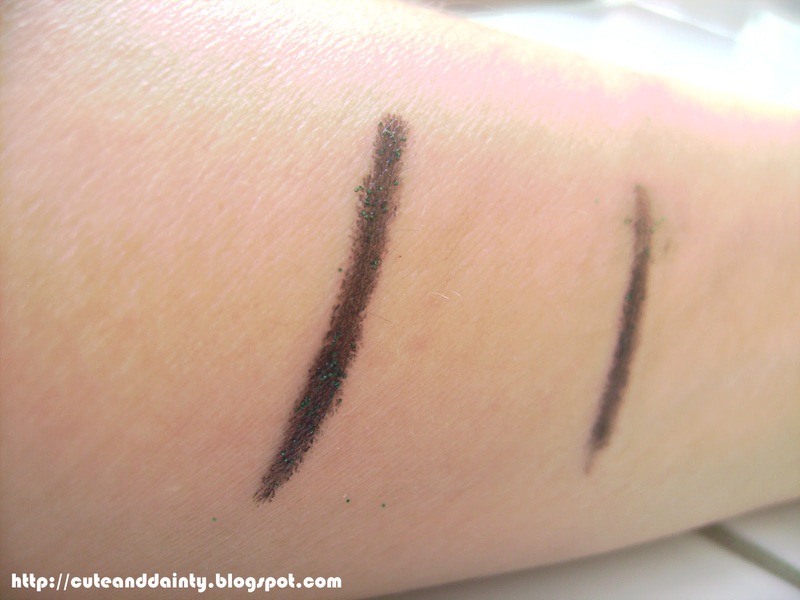 When I was young, I hate eyeliners! Whenever I'm attending events as a child that requires me to put makeup; graduation, parties, contests/beauty contest (yes, I competed when I was in Grade 6), among others, this is the beauty tool that I dislike the most! It always makes me cry!!! But this one is different. It's not the usual pointed liners, instead it comes in a stick form. 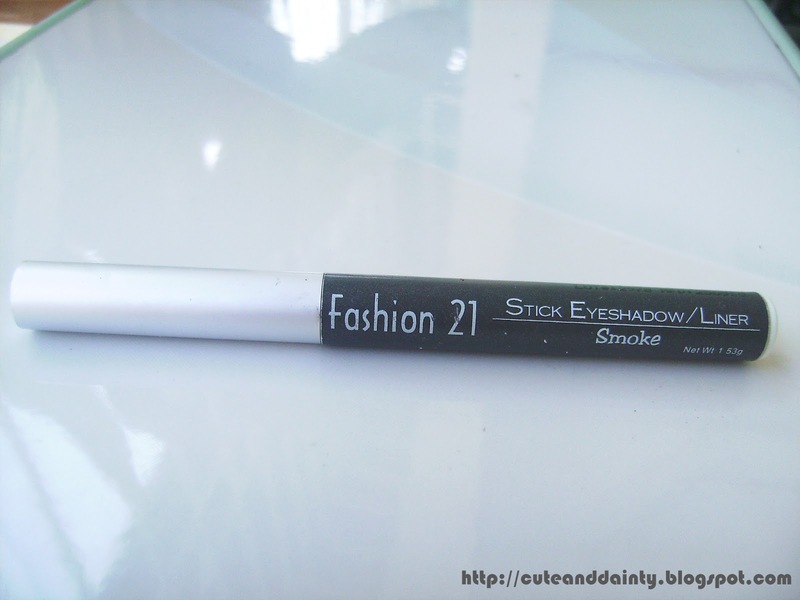 It's fatter than the usual pencil eyeliner which is good but it also has some turn downs. 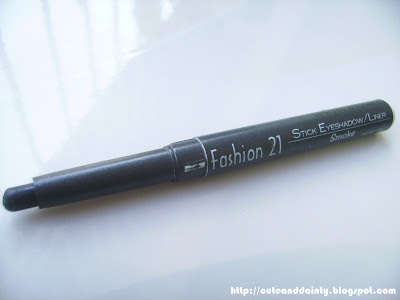 Since it's fatter, it's a bit difficult for me to use because I'm used to in using pencil eyeliners. I ended up practicing on this several times just to make sure that I can use it properly. I actually have doubts of using this whenever I go to work because it's still kinda messy. It has glitters for the smoke effect, hence the label. Any suggestions? 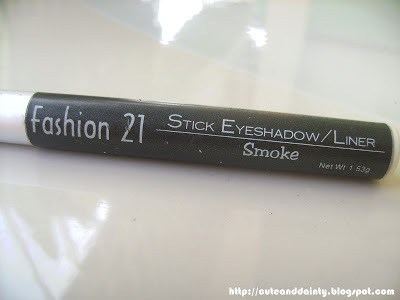 What brand of eyeliner/eyeshadow you have that you liked the most? Share! Not water and smudge proof means easier to remove...but hassle nga if you have to re-apply from time to time. The last time I used an eyeliner was... 5 years ago? Haha! But I'm now trying to use makeup again, so this is a great help for me. 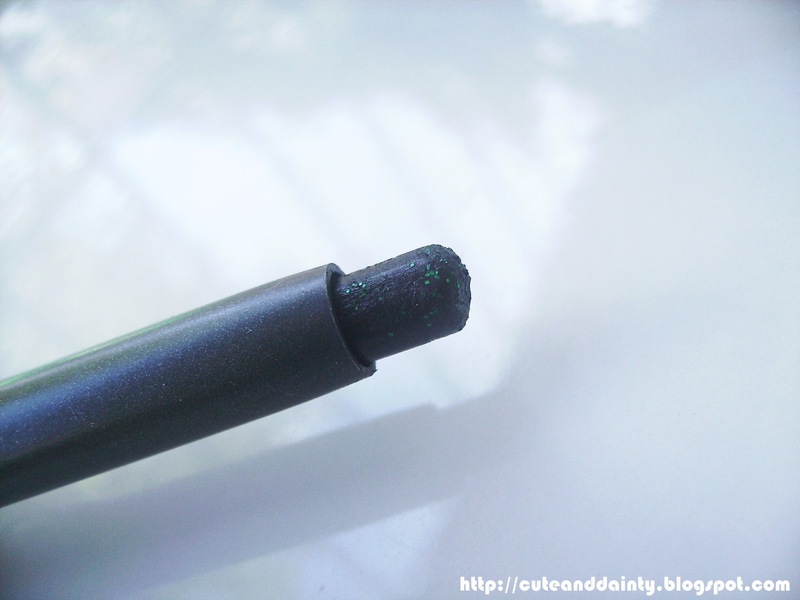 Why don't you try liquid eyeliners?